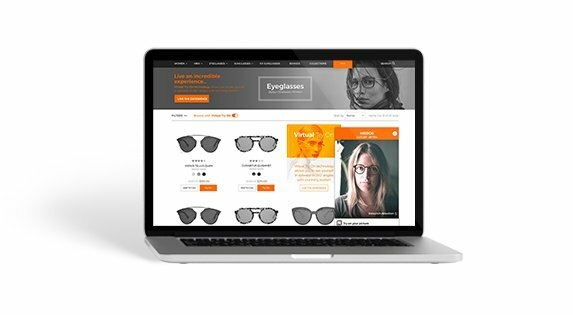 Empowering eyewear retailing with the most advanced Virtual Reality solutions. FittingBox invests 30% of its revenue in R&D, with a strong team of PHDs, engineers, and experts in computer vision, realistic rendering, and machine learning. Our team works with a network of international experts and laboratories with the goal to create the best solutions for real-life problems. To revolutionize the eyewear retailing, we have filed more than 12 patents in the field of 3D reconstruction, realistic rendering, face analysis and tracking, metrology and measurements. We work on innovative features, such as mobile compatibility and new sensors, but also on deep technology and breakthrough solutions with our partners. We aim to provide a fully immersive, highly realistic augmented-reality to replace the traditional Eyewear Mirror with a smart solution available in all contexts: mobiles, stores, specific kiosks, etc. We are currently moving a step forward, integrating our Virtual Try-on (VTO) solutions with prescriptive capabilities based on machine learning. We rely on strong proprietary assets that we have built over the years and that make a meaningful difference. We have built the first scanner in the world capable of digitizing complex objects with precision. Eyeglasses are apparently simple objects but their materials, colors and textures are extremely hard to reproduce virtually. That’s the reason why most of current AR solutions in eyewear are unable to provide a realistic product experience. We have learnt to master most of the unique eyeglasses characteristics: a mix of various highly dynamic materials that exhibit visual effects like high reflection, translucency, transparency, light diffraction and refraction. Our rendition library is key to assuring that each digitized product is the nearest possible reproduction of the original. Our patented scanners guarantee the true size and color of the 3D object with high accuracy. This precision is key for a real virtual try-on simulation, ensuring an end-customer experience in line with the same quality one of our customers can expect in the physical store. Our scanners can be shipped to our clients’ premises. Our product rendition capabilities cover not only frames, but lenses as well: specific coating effects (photochromic, anti-glare) or lens treatments (flashy, graded colors, etc.) are available to ensure the most realistic product experience. Thanks to our StudioBox scanners, and to rigorous work with data, we have built the most completely sustainable database of frames, one which grows every day. Each product is profiled according to several criteria. This supports our current solutions’ functionalities as well as future, smarter ones. We always develop new tools to ensure the quality of our data and make these immediately available to our clients. All this information is made available to our clients through different tools and an administrative dashboard. We always continue the research in this area with world leading scientists on the topic. Our technology can fit several environments, devices, browsers and operational systems. Each of them provides a permanent working field to ensure the best virtual try-on experience throughout their evolution and improvements. Providing a smooth mirror experience via a perfect face tracking, product scaling and positioning in real time, is an endless research and tech commitment. This is possible due to our in-house tech and research capabilities, as well as our expert network. This helps us remain on the cutting edge of eyewear AR solutions. With the aim to support optical business development, optical measurement is a key research field for our R&D department. We have introduced accurate and breakthrough technologies in optical measurements (ie. pupillary distance) that are available on demand. We provide a powerful frames recommendation system that can make complex decisions and learn from people’s experiences. We deliver this technology as a really simple tool to configure your own product and specific knowledge, and adapt to trends. Our products are not fixed results, but evolve with people! After several months of effort … we discovered our fresh HTML5 technology, with outstanding results on standard mobile. Please use the form below to get notified of our new technology and solutions.